This interior Architecture project is a 6,000 SF building technology and product resource library for architects and design professionals. 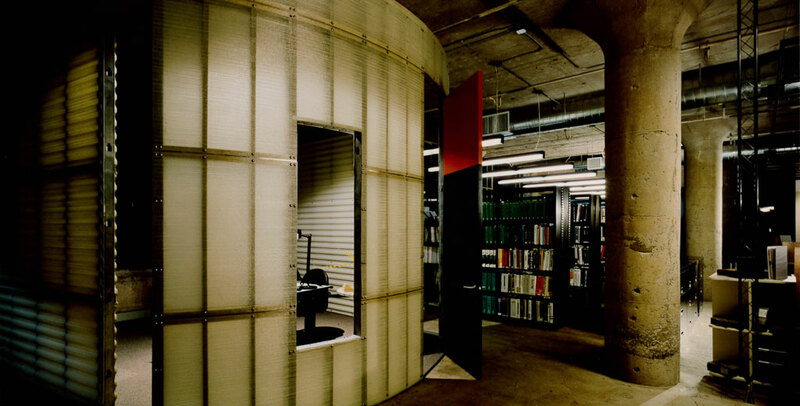 Located in the Boston Design Center, a regional showcase for the design community, the library is designed to entice the user and engage the built environment of the facility as a research source. The space features formed elements and spatial features that are used in unique ways to provoke creative thought in the use of materials. The library is linear in organization with display, reference and review areas, collaboration spaces, and a central storage area. Shelving stacks form a large reference area for product literature with computer stations accessible for electronic research. 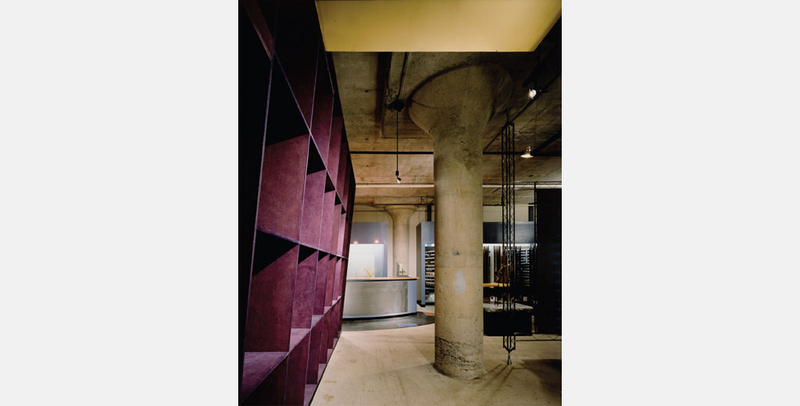 Defining the space is a deep canted storage wall with open recesses for product display. Offices, conference, and light mock up areas are accessed by passing through this wall and are articulated as special library rooms.